Abstract: In a rural community, your neighbours know your business before you do. Why then would you need public displays? For ten years, I lived and worked on Tiree, a small island in the North Atlantic off the western coast of Scotland. Six hundred and fifty people are spread over a land area greater than Manhattan. Although it is impossible to keep a secret, it is also very hard to share information deliberately. Indeed, when the island youth worker was asked what was the greatest difficulty of her role, he said, “letting people know about events”. The talk will present a number of communication technologies deployed on the island from SMS and offline mobile technology, to forms of situated public displays ... albeit not all of the kind that are common in PerDis. Many were developed in connection with Tiree Tech Wave, a regular maker/meeting event that brought together technologists, designers, and artists to understand the unique challenges of computing at the edges. I will discuss some of the special issues of designing technology in and for remote communities as well as reflecting on more general lessons for pervasive displays anywhere. Alan Dix is Director of the Computational Foundry at Swansea University. Previously he has spent 10 years in a mix of academic and commercial roles. He has worked in human–computer interaction research since the mid 1980s, and is the author of one of the major international textbooks on HCI as well as of over 450 research publications from formal methods to design creativity, including some of the earliest papers in the HCI literature on topics such as privacy, mobile interaction, and gender and ethnic bias in intelligent algorithms; his co-authored book, TouchIT, on physicality in a digital age, is due to be published in 2019. For ten years Alan lived on Tiree, a small Scottish island, where he engaged in a number of community research projects relating to heritage, communications, energy use and open data and organised a twice-yearly event Tiree Tech Wave that has now become peripatetic. In 2013, Alan walked the complete periphery of Wales, over a thousand miles. This was a personal journey, but also a research expedition, exploring the technology needs of the walker and the people along the way. The data from this including 19,000 images, about 150,000 words of geo-tagged text, and many gigabytes of bio-data is available in the public domain as an ‘open science’ resource. Alan’s role at the Computational Foundry has brought him back to his homeland. The Computational Foundry is a 30 million pound initiative to boost computational research in Wales with a strong focus on creating social and economic benefit. Digital technology is at a bifurcation point when it could simply reinforce existing structures of industry, government and health, or could allow us to radically reimagine and transform society. The Foundry is built on the belief that addressing human needs and human values requires and inspires the deepest forms of fundamental science. Abstract: In the last 15 years, we have witnessed the rise and growth of pervasive display systems research, both in academic and in industrial settings. The rising demand for the digital support of human activities motivated the uprising of interactive displays of all form factors, from smartphones and large displays to the latest ventures in flexible displays. In this talk, we review the state of the art of pervasive and interactive displays, starting from personal experience with some early-stage prototypes to the evolution of the research area and the technologies that have caused the proliferation of pervasive and interactive displays. We will conclude discussing the challenges and opportunities for novel interactions between the human and the surrounding computational environment provided by pervasive displays. Alessio Malizia, ACM Distinguished speaker, joined the School of Creative Arts at University of Hertfordshire as professor of User Experience Design (UX) in September 2017. 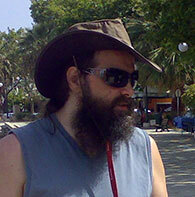 Previously he was in the Department of Computer Science at Brunel University London (UK), as Senior Lecturer in Human-Computer Interaction from October 2012. 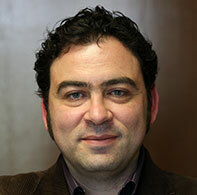 He moved to Brunel from Universidad Carlos III de Madrid (Spain), where he was Associate Professor of Human-Computer Interaction (HCI) and Social Computing. He has previously worked at Sapienza University of Rome, IBM, SGI and Xerox PARC. Alessio's research and teaching interests focus on Human-Centred Systems and he is interested in the design of Ubiquitous Interactive Systems with a special focus on the End-User Development community. He is particularly interested in systems where the physical and digital become seamlessly intertwined producing a new hybrid landscape and the study of problems arising from designing such complex hybrid environments involving collaboration of various disciplines and stakeholders. He has been awarded 2 times with the YGGDRASIL mobility programme: the Research Council of Norway grants for highly qualified, international PhD students and younger researchers. He is the author of over 90 publications, including the monograph "Mobile 3D Graphics" published by Springer and he is currently on the editorial board of 2 international peer-reviewed journals. He has been a consultant on user interface design and implementation to different companies, IBM and SGI among others, and regularly teaches courses on interaction design and pervasive computing. He is an ACM Distinguished Speaker and Senior member; He has served on numerous ACM conference program committees. Automotive Habitat Lab. Funded by Jaguar Land Rover. Duration 01/12/2014 until 30/11/2018. Quantity: £1,120,942. 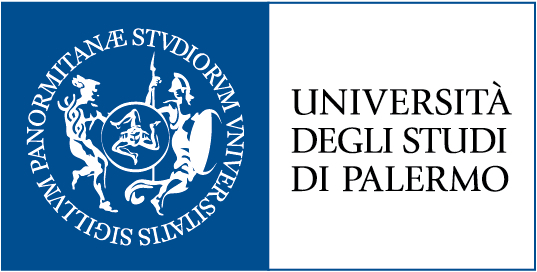 Design Assistant for Semantic Comparison of Intellectual Property (DASCIP). Funded by EPSRC - Manufacturing the Future call. Duration: 18 months. Ends February 2018. Quantity: £276,559.